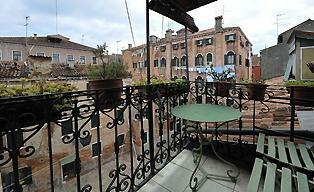 Need Car Rental Venice Italy? Going on an Italy Trip? With a car rental Venice Italy, you can explore the Veneto area, Verona or Milan. A roud trip through Italy! For sightseeing around Venice, it is essential you have a car! After your arrival at the airport, there will be a rental service waiting for you. At the airports in Venice, there is a special desk to hire a car. And it is efficient to book a car in advanced. You only have to sign, and you are ready to go. Check here for Car Hire at Marco Polo Airport. Marco Polo Airport is the airport of Venice. The location of this airport is 5 miles east of Venice. This airport receives flights from Italian cities and international. Some flights, mainly from England and Brussels fly to the smaller airport, Treviso airport. This airport is located more than 20 miles from Venice. All major car rental companies are available, including 2 Italian. They all have a wide range of services, but they may differ in price. You can pick up and drop off your hired car at the airports, train stations (for example; Santa Lucia) and the office at Piazzale Roma in Venice. Don’t forget; it is impossible to use your car inside Venice. Therefore the closest parking is Piazzale Roma (San Marco Parking). This location is a parking garage with a price of € 30 per 24-hours. Do I need a Drivers License for a Car Rental Venice Italy? Yes, you need a license and a credit card. A tourist from outside Europe has to bring an international driving license. Italians drive on the right. ...Sightseeing with my Rental Car? Venice offers beautiful attractions, but the Veneto area has its unique places and villages with a lot more to discover. The city of Padua (Padova) is just 13 miles west of Venice and is an easy drive via the A4 motorway with your rental car. I don’t recommend to drive in the historic center of this city, but park at the garages near the old downtown. Further west you can visit the fascinating city, Verona. This city is known as the site of Shakespeare's Romeo and Juliet. In the months June, July, and August this place are filled with the Verona Opera. Want a break from all the artistic impressions? Then drive to Jesolo, east of Venice. At this resort, there are stunning beaches. Jesolo is easily accessible via the A4, exit San Dona DI Piave. I have shown you how we get a car rental in Venice. I have some suggestions, as you will read. Please explore my site more and get more information about the different topics.